2nd Annual City Wide Black History Production is coming back. 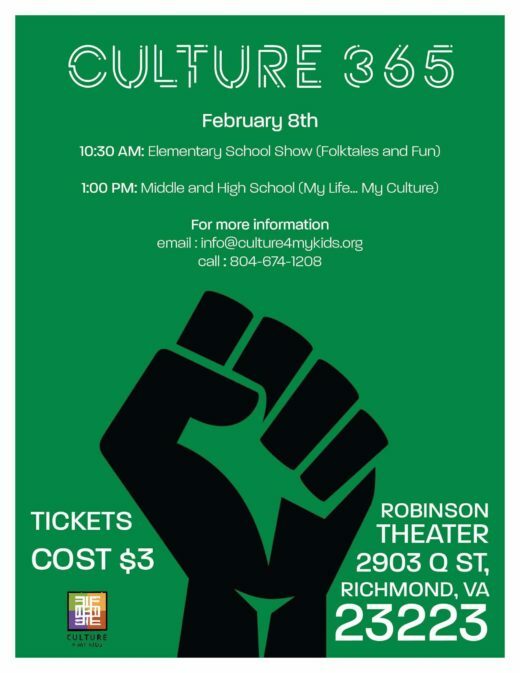 Culture4MyKids, Inc. would like to invite you to celebrate Black History with us. 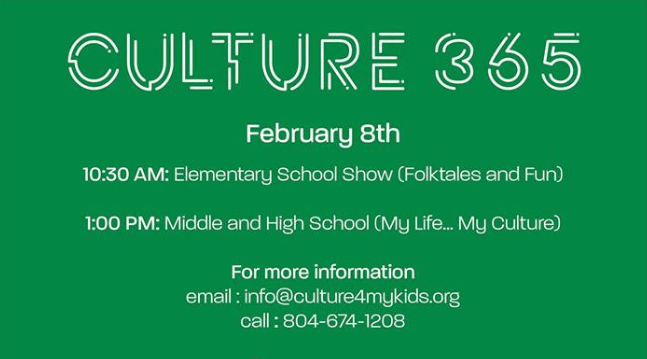 February 8th, at the Robinson Theater (2903 Q Street), we will be presenting our city wide school and daycare production called Culture365. Using music, song, story telling, and dance, this production will be an amazing journey that will inspire and enrich the community. This one hour program is geared towards children of all ages. Production Times: 10:30 AM and 1:30 PM. Cost of the tickets are $3. Hope to see you there for this inspiring production.